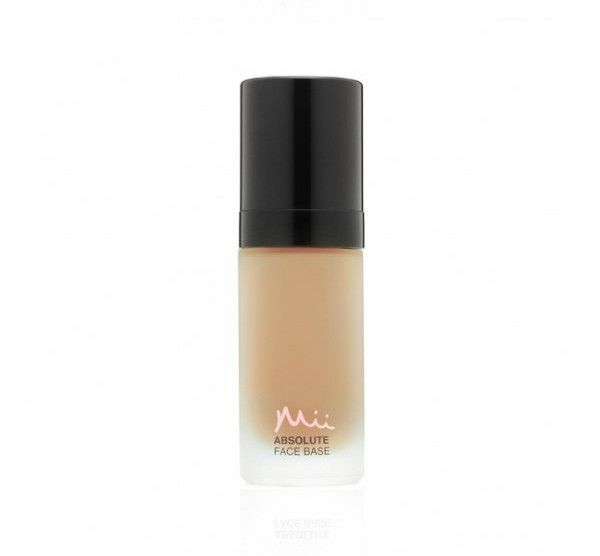 Absolute Face Base Foundation. A true confidante keeps your secrets safe and will never blow your cover. Our full coverage foundation has a feather-light feel, bringing you refined radiance from dusk ’til dawn. With natural pomegranate complex to actively lock in moisture, gotu kola extract to help cell renewal and SPF 30 to protect, your skin will not only look flawlessly fresh, but feel perfectly hydrated too. Our fullest coverage foundation. Ideal for all skin types. BUTYLENE GLYCOL, TITANIUM DIOXIDE, ETHYLHEXYL METHOXYCINNIMATE, PEG-30 DIPOLYHYDROXYSTEARATE, DEXTRIN PALMITATE, DISTEARDIMONIUM HECTORITE, CETYL PEG/PPG-10/1 DIMETHICONE, POLYGLYCERYL-4 ISOSTEARATE, SODIUM CHLORIDE, PHENOXYETHANOL, HYDROGENATED PALM KERNEL GLYCERIDES, HEXYL LAURATE, DIMETHICONE CROSSPOLYMER, ALCOHOL, PUNICA GRANATUM STEROLS, TRISILOXANE, POTASSIUM SORBATE, HYDROGENATED STYRENE/ISOPRENE COPOLYMER, CAPRYLYL METHICONE, HYDROGENATED PALM GLYCERIDES, SILICA, ZEA MAYS OIL, KRAMERIA TRIANDRA ROOT EXTRACT, ALUMINUM HYDROXIDE, PARFUM, CENTELLA ASIATICA EXTRACT, SARCOSINE, XANTHAN GUM, POLYSORBATE 20, RICINOLETH-40, PENTAERYTHRITYL TETRA-DI-T-BUTYL HYDROXYHYDROCINNAMATE, BHT, SORBIC ACID, UNDECYLENIC ACID, CI 77891, CI 77492, CI 77491, CI 77499, CI 77947. UTTERLY HONEY, UTTERLY WARM - AQUA, ISODODECANE, CAPRYLIC/CAPRIC TRIGLYCERIDE, DIMETHICONE, MICA, BUTYLENE GLYCOL, TITANIUM DIOXIDE, ETHYLHEXYL METHOXYCINNIMATE, PEG-30 DIPOLYHYDROXYSTEARATE, DEXTRIN PALMITATE, DISTEARDIMONIUM HECTORITE, CETYL PEG/PPG-10/1 DIMETHICONE, POLYGLYCERYL-4 ISOSTEARATE, SODIUM CHLORIDE, PHENOXYETHANOL, HYDROGENATED PALM KERNEL GLYCERIDES, HEXYL LAURATE, DIMETHICONE CROSSPOLYMER, ALCOHOL, PUNICA GRANATUM STEROLS, TRISILOXANE, POTASSIUM SORBATE, HYDROGENATED STYRENE/ISOPRENE COPOLYMER, CAPRYLYL METHICONE, TALC, HYDROGENATED PALM GLYCERIDES, SILICA, ZEA MAYS OIL, KRAMERIA TRIANDRA ROOT EXTRACT, ALUMINUM HYDROXIDE, PARFUM, CENTELLA ASIATICA EXTRACT, SARCOSINE, XANTHAN GUM, POLYSORBATE 20, RICINOLETH-40, PENTAERYTHRITYL TETRA-DI-T-BUTYL HYDROXYHYDROCINNAMATE, BHT, SORBIC ACID, UNDECYLENIC ACID, CI 77891, CI 77492, CI 77947, CI 77491, CI 77499. Tags: Absolute, Base, Face, Foundation, Full Coverage, Utterly Warm. The foundation adjusts and blends into my own skin tone perfectly leaving a natural looking glow. Absolute face base is my all time favourite foundation. 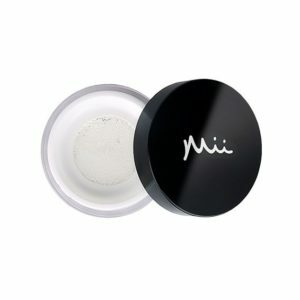 It has amazing coverage with just one layer! I don’t have to spend ages in the morning now concealing. You can also make the coverage as light or as heavy as you would like. Highly recommend this foundation!